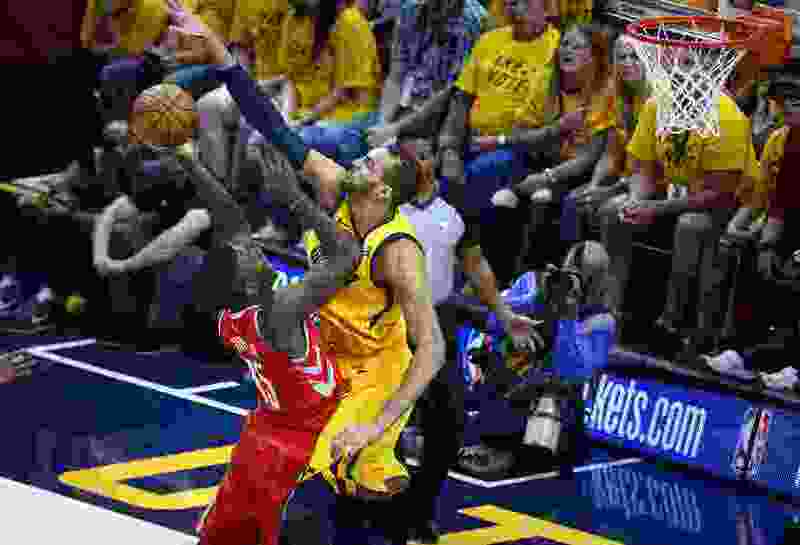 (Scott Sommerdorf | The Salt Lake Tribune) Utah Jazz center Rudy Gobert (27) blocks this shot by Houston Rockets center Clint Capela (15) during first half play. The Rockets led the Jazz 58-48 at the half, Sunday, May 6, 2018. That’s been the Jazz’s mantra for months now, ever since they found a way to turn around their 2017-18 season and finish with an impressive run to the playoffs. But this week, Sports Illustrated gave some credence to that claim, thanks to their annual Top 100 player list. In it, all five members of the Jazz’s starting lineup finish among the league’s top 60 players. The Jazz are one of only two teams with five players in the top 60, along with the Boston Celtics. Point guard Ricky Rubio finished with the lowest rank among Jazz starters at spot No. 57, one better than Jeff Teague, the point guard who Minnesota GM Tom Thibodeau replaced him with last offseason. 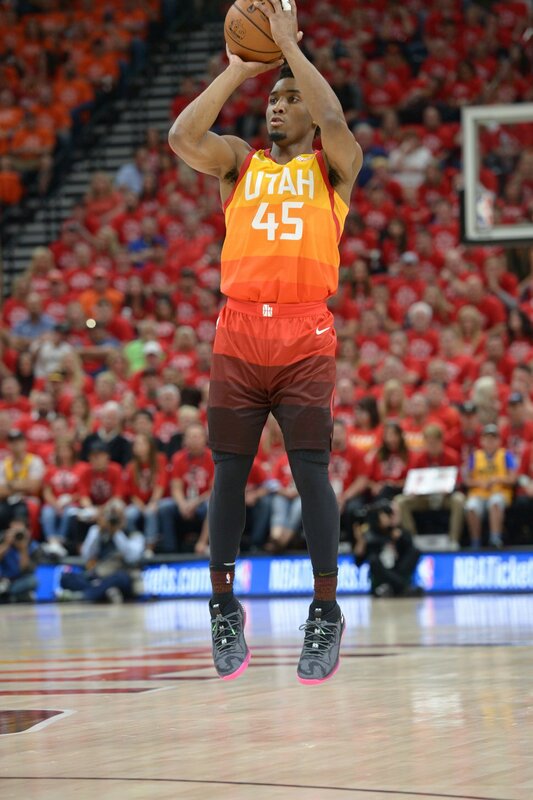 (Leah Hogsten | The Salt Lake Tribune) Utah Jazz guard Donovan Mitchell (45) was held to 2 points in the first half as the Utah Jazz take on the Houston Rockets in Game 3 of an NBA basketball second-round playoff series Friday, May 4, 2018 in Salt Lake City. Derrick Favors finishes as SI’s 51st best player. In his blurb, author Rob Mahoney credits Favors’ versatility, adding value when Gobert is out of the game and making a fearsome duo when both play together. Finally, the Jazz’s spot in the top 15 comes from Rudy Gobert. The lanky Frenchman finishes No. 14 overall, one spot ahead of Weber State product Damian Lillard, but one spot behind the Warriors’ Draymond Green. “His presence provides a sense of order, a way of life,” says Mahoney.